Zin always wanted to make ALL people feel important and valued. He was very active on social media, especially Facebook. Oftentimes, his posts were affirming messages to family and friends and his ‘status quo’ was to empower and encourage people to do great things. 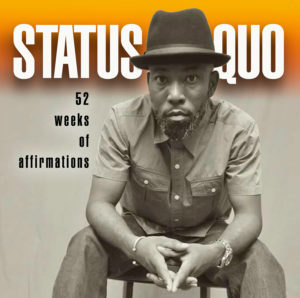 Status Quo: 52 week of affirmations, is a compilation of Zin’s most positive and uplifting Facebook status updates. When used for good, social media definitely has the power to inspire, educate and yes, affirm.